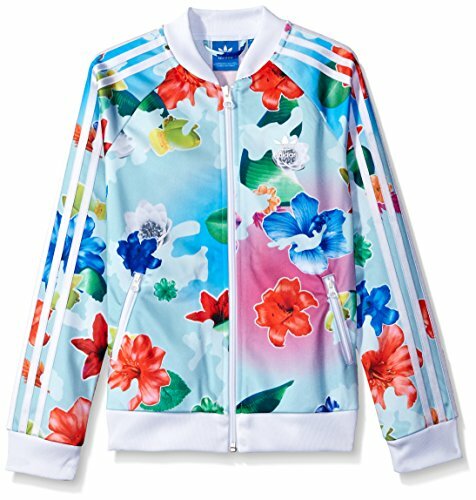 This junior girls' track jacket features an iconic tricot build with stripes down the arms. Its side zip pockets help keep essentials close. A big trefoil on the back finishes the look.